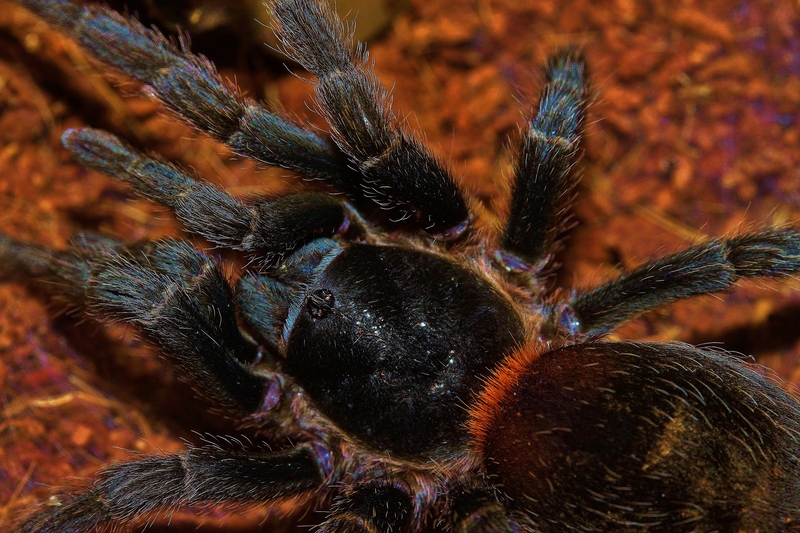 Euathlus is made up of dwarf tarantulas, most not exceeding three inches in leg-span. They are beautifully colored and have great hair-work on both their carapace and abdomen. They all come from Chile and are very easy to keep. For the most part they are also docile, though most species are a bit skittish. The exception is sp. red which actually has the best temperament of any tarantula I have ever kept. 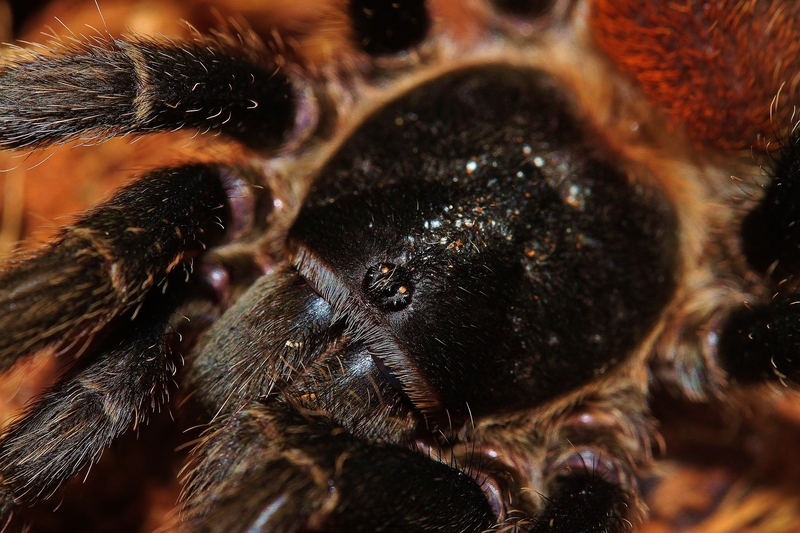 If a tarantula can be said to have a sweet disposition then this one definitely has it. They have now been renamed as Homoeomma chilensis. They look exactly like miniature Grammostola pulchras, the Brazilian Blacks. 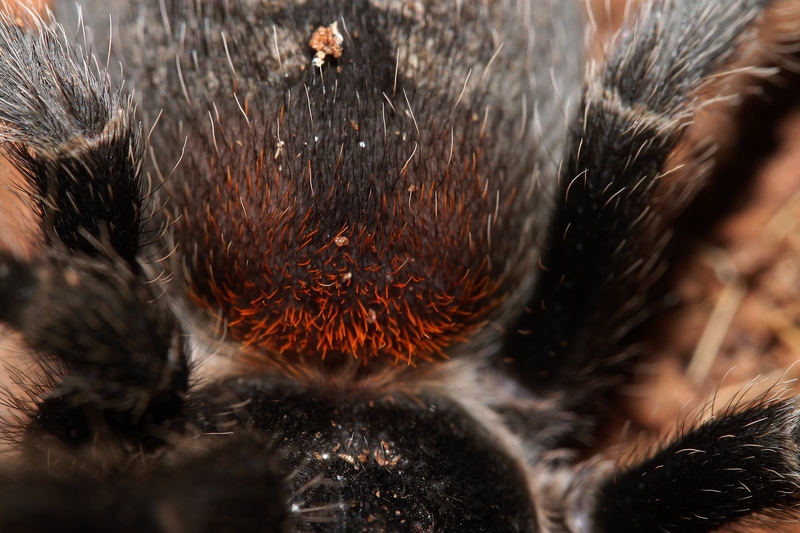 They are stocky and velvety-black in color with a touch of reddish-orange where the abdomen meets the prosoma. They like to be kept in relatively dry conditions though a water dish is a must. I have never seen them drink from it but it does help to provide the much-needed humidity when molting. I use dry Exo-Terra’s Eco-Earth for the substrate. This is not the brick that you add water to but the bags of pre-expanded material. 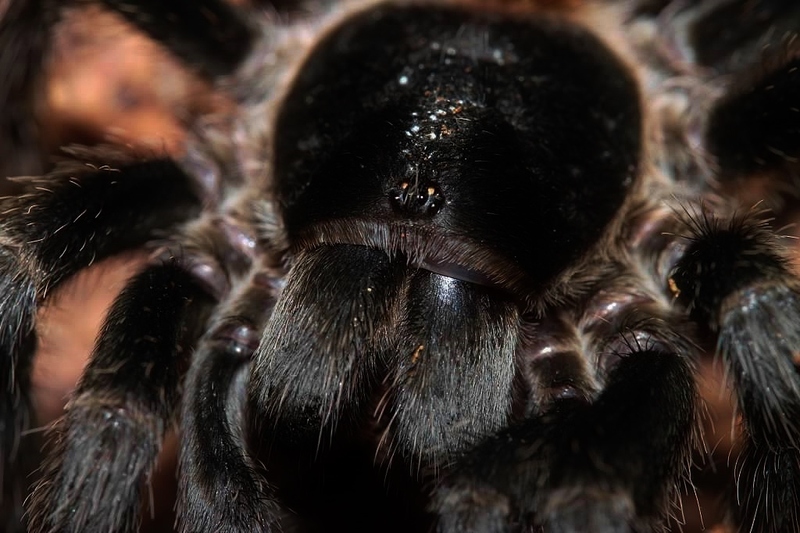 I have found that if you use the damp material, tarantulas that like it dry tend to spend all of their time on the side of the enclosure because they do not like to get their feet wet. Once it dries out they do come down but that may take awhile. I included a hide but found that she prefers to just dig around in the substrate and she has created some small tunnels. I feed her 2-3 small or medium crickets a week and she usually grabs at least one as soon as I drop it in front of her. From the day that I got her she became one of my all-time favorite species. She is slow moving and as gentle as can be. Now this doesn’t mean that if provoked she won’t bite, it just means that I have never seen any signs of aggression with her. 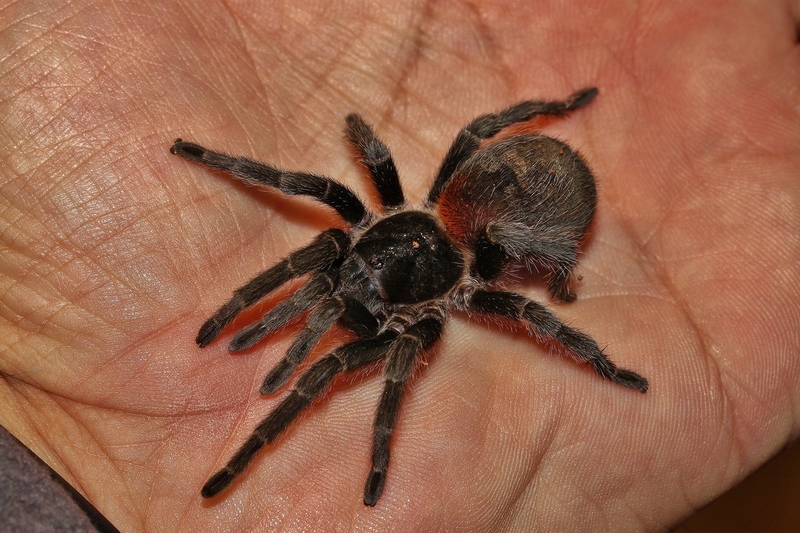 I do not make it a habit of handling my tarantulas but with this species, I have no worries of getting bit at all. As demand for this species rises, so do prices. I got my adult female for $69 in May of 2015 and at the time of this writing, adult females are double that price. Since I wanted to add more of this wonderful species to my collection I decided to get a couple of spiderlings, since they are much more affordable. In January of 2016 I got two for $19 apiece, but keep in mind that they were tiny (about a 1/4″ legspan). I normally shy away from spiderlings this small but had yet to see them offered any bigger. They seem to do well on both flightless fruit flies and pre-killed food. Since I am new with this species, and information is lacking, I am curious to see what their growth rate is. I do not provide a water dish for spiderlings this size and just opt to spray the side of their deli-cup enclosure once or twice a week. They seem to do well with temperatures between 70 and 80 degrees with a 70-75% humidity. They lay out webs pretty much everywhere they walk but it is thin and if you’re not looking for it you could miss it. 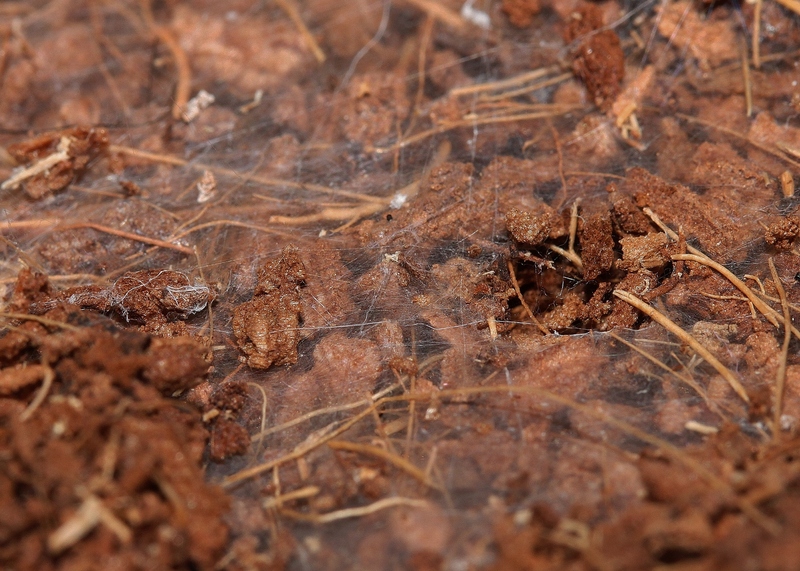 I have found that all of my Euathlus do this and cover the whole top of the substrate with a thin layer of web. This does at times create a problem, especially when you go to remove dead or eaten crickets as you will go to pick up one item and end up pulling a whole section of substrate out with it. Overall this is a great little tarantula and in my opinion a must-have in any collection. Even if you are not into the smaller species, this one has so much charm that you will instantly fall in love with it. If getting this species is your first dwarf, you may find yourself looking into more species in the wonderful genus of Euathlus. 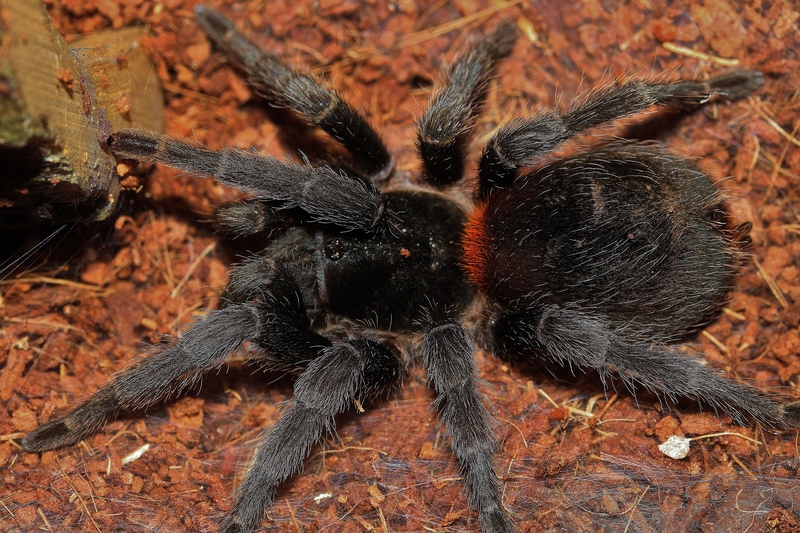 This entry was posted in Tarantulas and tagged Eco Earth, EcoEarth, Euathlus, Exo Terra, ExoTerra, Grammostola pulchra, Homoeomma chilensis, Michael Jacobi, Paraphysa parvula, parvulus, pulcherrimaklaasi, pulcherrimaklassi, sp. blue, sp. green, sp. red, The Tarantula Bibliography, truculentus. Bookmark the permalink. Have you ever bred the dwarf flames? How much have those two tiny slings you picked up in January 2016 grown? They are still very tiny…very slow growing! I am still feeding them wingless fruit flies. Is there a website or something online where I can buy these little cuties? I would enjoy having an Euathlus sp. red. 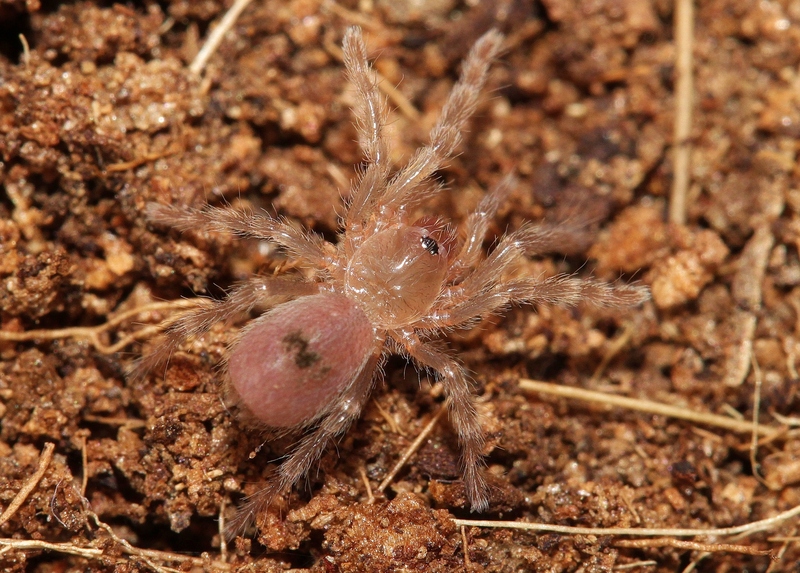 Swift’s Invertebrates (http://www.swiftinverts.com/) currently has 1/4″ spiderlings available. I’ve read you need to pre kill their food as they tend to run away from anything moving, have you found this to be true? When they are really tiny I tried pre-killed but also offer live and see how they react. Each individual is different. Some will eat live and some will not. 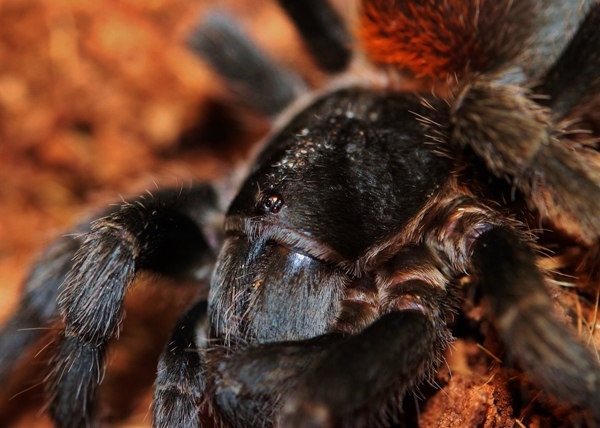 Brachypelma Smithi (Mexican redknee) and Euathlus sp. red (Dwarf Chilean Flame). are the only two I want. As they are (from my research) the two most docile species. As I want to handle mine to help with my phobia.